We have explored books about cars several times in the past. 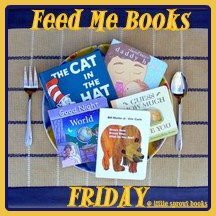 Here are some transportation themed books I've shared previously as well as some that were shared by Brimful Curiosities and Nursery Rhymes and Fun Times. 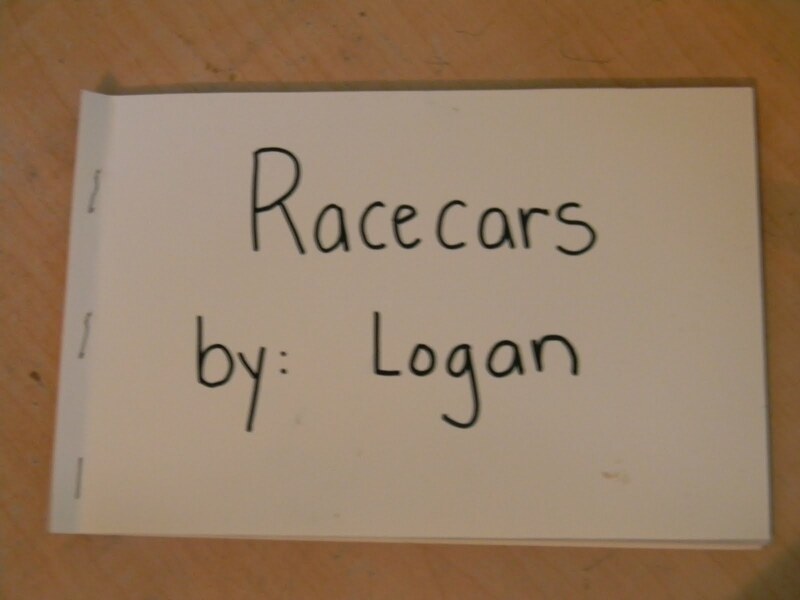 After watching an advance screening of Cars 2 on Saturday, I decided it would be fun to make a Cars 2 book just for Logan to add to our transportation themed collection. For our book, I wrote a simple sentence on each page. Logan placed the correct sticker on each page. As you can see, he wasn't exactly "reading" the story as written. Since he's only three, I was pretty stoked that he was turning pages, looking left to right, and approximating a story that made sense. However, if he was an emergent reader, I'd probably grab his little hand, and read it with him while I pointed to the text. (You know, while I held the camera, lol). 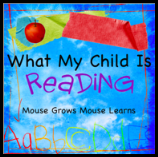 If you have an early reader, consider using sight words that your child is working on to create a personalized reading experience. 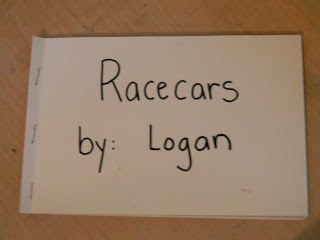 There is also a free printable emergent reader about racecars at Making Learning Fun. 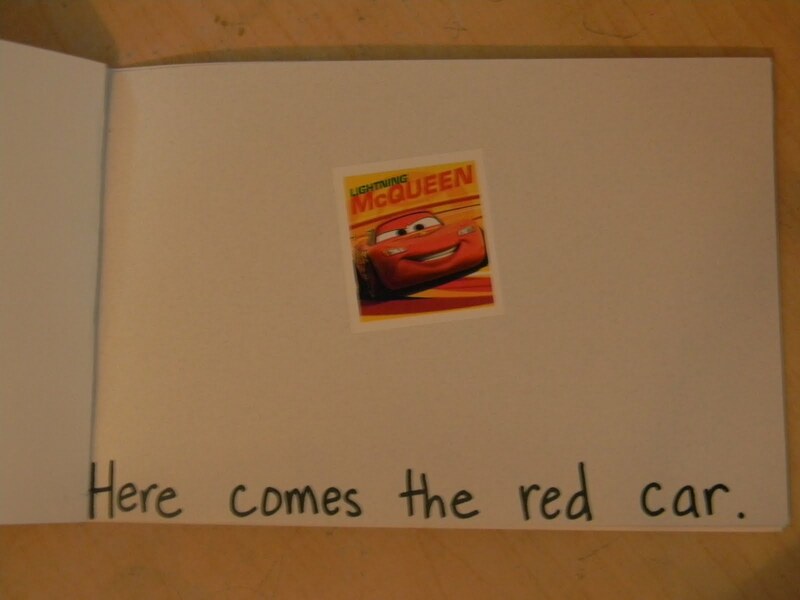 Don't forget to enter my giveaway for a Cars 2 prize pack. What a great idea to make your own book! What a lovely idea. I like how you made your own book - so personal. Will have to give this a try! You never fail to impress me with your ideas. Btw, how was Cars 2? My kids are asking to see it. You are so smart -- what a great idea! Booking Son is so looking forward to this movie! Very cute idea! I am curious to see when Logan will start reading for real. He definitely has left to right tracking down pat. Thanks for joining WMCIR!